Amanah Institute, formerly the Kuraby Madrassah, is fast growing as one of the leading education institutions in the local community. We at Amanah Institute are seeking to establish ourselves as a National leader in Islamic education provision for Muslim students in Madarris – a lofty goal indeed! Our Institute is striving for a standard commensurate to what students and parents experience in mainstream school settings. More importantly, our Institute is seeking a standard that honours the purpose, philosophy and rich history of Islamic education that is also consistent with modern best pedagogical practice. In order to achieve these lofty aims we have undertaken an external review of the Institute; intensive and ongoing teacher training; the inclusion of best practices for education in terms of duty of care; administration reform; a major curriculum renewal project; a classroom refurbishment project; the development of a common pedagogical approach considering the needs of students; and the development of a behaviour management approach consistent with an Islamic pedagogy, titled ‘Discipline with Dignity – among a host of other initiatives. One of the most recent success stories of the Institute has been the new Islamic Studies program for young people. 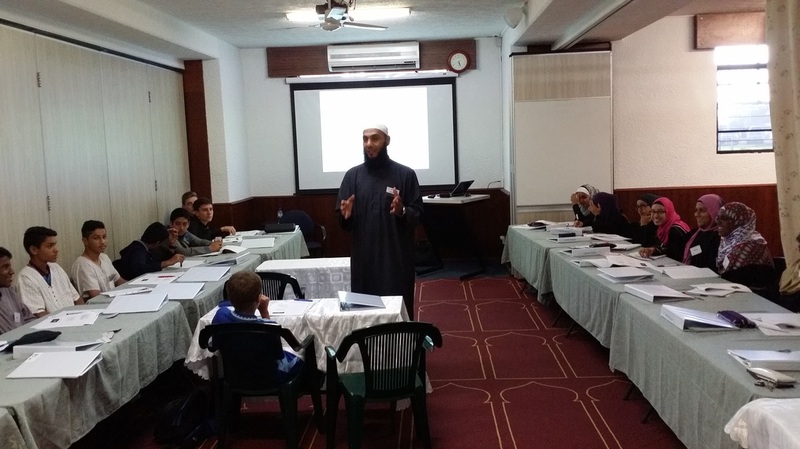 Amanah Institute is engaging with young people to equip them with an Islamic education that is necessary and relevant as they enter the challenging years toward adulthood. The Institute, as part of its broader role as a National leader in Islamic education provision, is seeking to provide young people with Islamic Studies programs that are effective and suitable to their needs as Australian Muslims. Amanah Institute has launched a new program, aptly titled, ‘Applied Islam’. Applied Islam is a 2-year program that aims to equip students with a solid foundation in Islam and Muslim issues in order to function with a sense of purpose in the real world without compromising their Muslim Australian identity. Students will be guided on the adab (etiquette) of engaging with sacred knowledge as well as explore historical contexts and the socio-political issues within these as they relate to contemporary issues today. Students will be offered units on sharia 101; Islam and culture; identity; music; leadership and governance (the ‘caliphate’); engaging with fellow Australians who are not Muslim; intimacy, modesty and marriage among other relevant topics. Insha’Allah, student graduates of this program will be able to approach issues in a scholarly, eloquent and sophisticated manner drawing on the irrefutable evidence base of Islam. The Institute humbly aspires to produce a cohort of students with firm Iman (belief) who are confident, functionally dynamic and able to serve. Applied Islam adopts an inquiry based approach to learning in which student will examine and respond to various issue statements. Associate Professor Mohamad Abdalla is the Program Instructor. Additional guest speakers who are experts in their fields will also present on topics to assist students in their inquiry.